With the increased use of cross-sectional radiologic imaging in recent years, cystic lesions of the pancreas are being diagnosed with greater frequency. While pseuodocysts have historically accounted for the majority of benign pancreatic cysts, there are a number of rare, benign cystic lesions of the pancreas that can mimic neoplastic cysts. The objective of this study was to review a single institution’s experience with these benign cystic lesions of the pancreas. We conducted a retrospective analysis of all patients who underwent surgical resection for pancreatic disease from 2005 to 2012 at our institution. Out of a total of 947 pancreatic resections, we identified those cases performed for cystic disease, and focused upon the clinicopathologic data of patients with non-neoplastic pancreatic cysts. Of the 947 pancreatic resections, 256 (27 %) were performed for cystic disease. Sixteen cases (6.3 %) out of the total of 256 pancreatic operations performed for cystic disease were found to have non-neoplastic cystic lesions of the pancreas. Preoperative imaging revealed primary lesions in all patients, eight of which were found incidentally. Of these lesions, 14 were suspected preoperatively to be mucinous neoplasms and two to harbor pancreatic adenocarcinoma. However, postoperative pathology revealed eight patients with ductal retention cysts, three squamoid cysts, one mucinous non-neoplastic cyst, one congenital ciliated foregut cyst, one lymphoepithelial cyst, and two endometrial cysts. Two patients had complications postoperatively, one pancreatic fistula and one SMV thrombosis. Both complications resolved with conservative management. Non-neoplastic epithelial pancreatic cysts are rare, benign lesions. In our institutional experience, these lesions are often indistinguishable from cystic neoplasms of the pancreas preoperatively. As such, many of these lesions are resected unknowingly. It is important for the clinician to be well informed of the nature of these lesions, in the hopes to avoid unnecessary resection whenever possible. 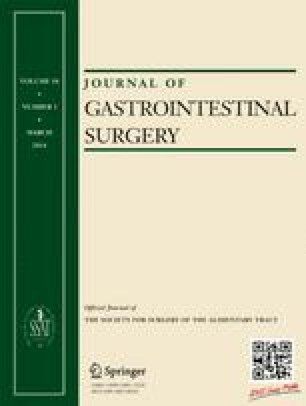 This research project was presented as a poster presentation at the 53rd Annual Meeting of the Society for Surgery of the Alimentary Tract in San Diego, CA, in May 2012.